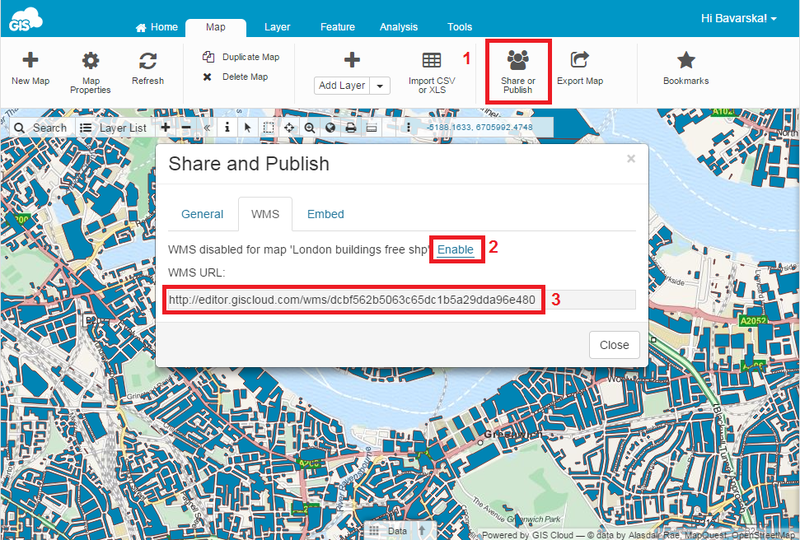 You can share your GIS Cloud map on a third party software as a Web Map Service (WMS). Both private and public maps can be shared as a WMS. Each GIS Cloud user has unique WMS URL. Under this URL all maps with enabled WMS and their layers are available. Click Share or Publish button from the Map tab. Copy and paste WMS URL link to the third party software i.e. QGIS, Google Earth, ArcMap. WMS protocol is limited to sharing only vector and raster layers. Layer symbology will be preserved. 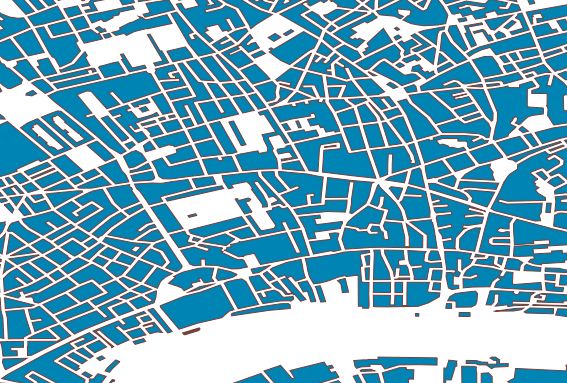 Exporting basemap is not supported which means that basemap won’t be visible in WMS export. Also, note that only TIFF format is supported for exporting raster layers.